The most important step to tracking happiness is determining the factors that significantly influence your happiness. These are your biggest sources of happiness. The data that I present in this article is updated every day. Whenever I finish tracking my happiness for the day, this page automatically gets updated. There are a lot of visualizations on this page, and all of them are connected to my happiness tracking journal. The treemap below shows you the biggest sources of my happiness ever since I started tracking my happiness. How does it work? The biggest square in this treemap has positively influenced my life the most. It is my biggest source of happiness. This treemap probably shows a LOT of my passions. My biggest sources of happiness tend to be things that I'm passionate about! You might be wondering what this happiness data of mine looks like? The table below shows the last 30 days that I've tracked. This table is updated every time I track my happiness and shows my happiness ratings and the positive happiness factors that influenced it. Let's summon the same treemap as you saw in the intro but now for the last 30 days. This shows you exactly what has positively influenced my happiness over the past 30 days! And if you're not a big fan of these treemaps, here is a simple bar chart showing the same positive happiness factors that have influenced my happiness over the last 30 days! What happiness factors do you recognize? Perhaps I enjoyed a nice holiday in the last 30 days? Maybe I ran a lot? Maybe my girlfriend and I were spending a lot of quality time together? Maybe all of these things happened during the last 30 days? You can read more details about what exactly moved my happiness in my monthly happiness reports! The biggest source of happiness in the last 90 days? What positive happiness factors had the biggest influence on my life over the last 90 days? The treemap below answers that question! Again, here is the bar chart, showing the same positive happiness factors. My sources of happiness of the past year? I have been tracking my happiness for a long time now, so I want to show you just how much each happiness factor has influenced my happiness. The treemap below shows you which positive happiness factors influenced my mood the most over the past 365 days. And here is the bar chart again, showing the same positive happiness factors. Notice that the list of unique sources of happiness is growing! During the past 365 days, my positive happiness factors have varied quite a lot! My all-time biggest source of happiness? I started tracking my happiness at the end of 2013. That means I have tracked A LOT of days already. As a result, I have also tracked A LOT of different positive happiness factors. This treemap shows every unique source of happiness that I've tracked ever since I started. You can see here how a relatively small amount of unique positive happiness factors has the biggest influence on my happiness. This actually resembles a lot of the Pareto principle (20-80 rule), but I will cover that concept in a separate post at a later time! Anyway, here is the (very long) bar chart, showing every single source of happiness that has influenced my happiness ever since I started tracking it. There are probably quite a few in there that will make you go ".....what?". Dog sledding? Did that during my epic road trip through Scandinavia and it was AWESOME. Luging?? Riding down a mountain in a small cart in Rotorua, New Zealand was immensely fun! I track my happiness every single day. This means that I determine my happiness rating and the factors that have significantly influenced this rating. I describe it in detail on my method page. I use Google Sheets to track my happiness, which means that my data is safely stored in the cloud. I have created a separate document in Google Sheets that queries data from my happiness tracking journal. I use this query to visualize all my happiness factors, and I have embedded these visualizations right here on this page! Every single visualization gets updated as soon as I finish tracking my happiness for the day. What is YOUR biggest source of happiness? 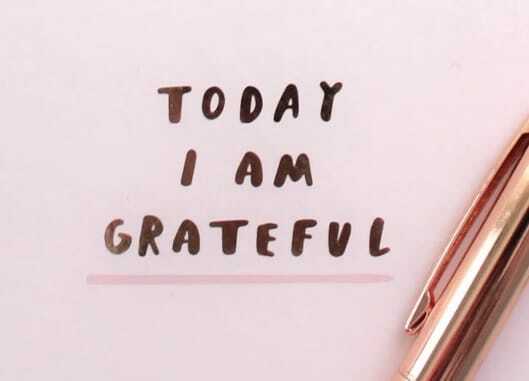 My question to you is: What is your biggest source of happiness? Now that you know exactly what factors make me happy, I'd love to hear more about YOUR happiness factors! What do you think has the biggest positive influence on your happiness? Is it your relationship? Your friends? Your work? If you're not sure, then don't worry! You can start tracking your happiness straight away using my custom template for free! 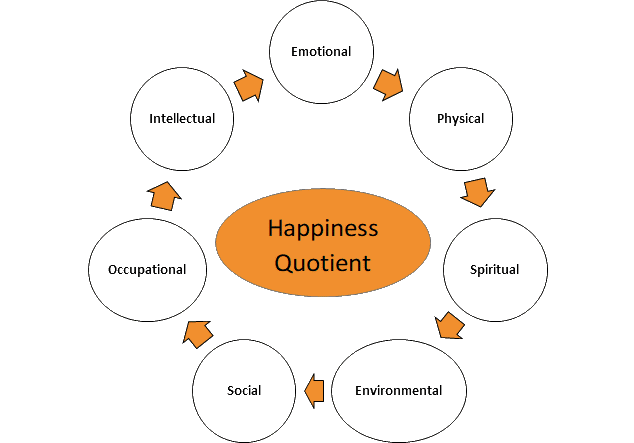 The Happiness Quotient: What is it and how to test yours!